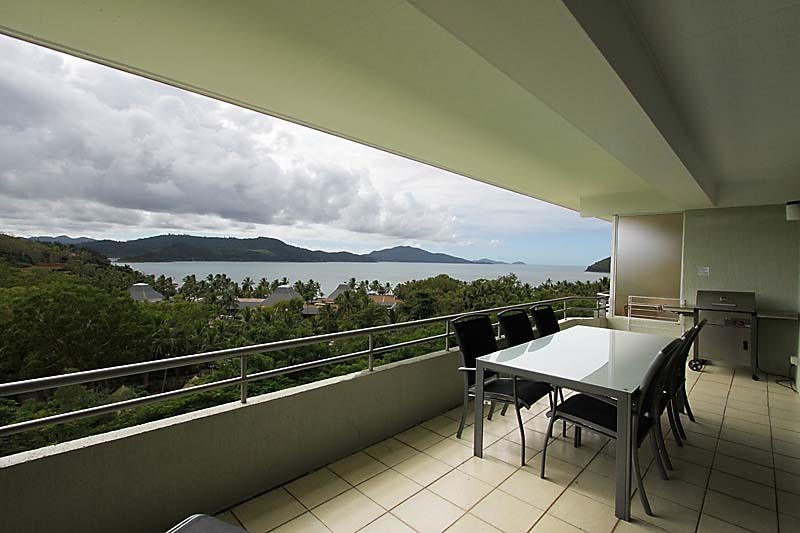 Holiday at Hamilton island.com has to offer the following apartments at affordable prices on Hamilton Island. Poinciana 209 - This apartment is perfectly positioned between the resort and the marina, overlooking Catseye beach and Catseye Bay. Not only is Poinciana 209 the ideal private getaway spot, its fantastic value with so much to offer. With spacious rooms, this extra-large one-bedroom apartment boasts sensational views from the top floor of the building. Picture yourself on the expansive white-tiled balcony, relaxing with a drink at the outdoor setting, while soaking up the magnificent views. Fully self contained with an equipped kitchen and laundry. The apartments all come with linen, bath towels and beach towels. For your convenience a starter pack of Tea, Coffee, Sugar, washing detergent, washing powder and soaps are all included. Included in the price is the exclusive use of a 4 seater Electric buggy (with seat belts) for the length of your stay, along with airport/ferry terminal transfers to and from your apartment. Click on the accommodation links to find out more on these fantastic apartments. 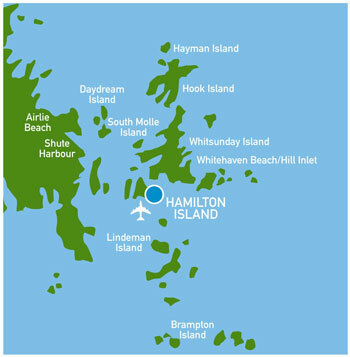 If you are interested in making a booking, simply complete our online booking form, email us at info@holidayathamiltonisland.com, or call us directly on 0425 231 047 or 0416 176 821. 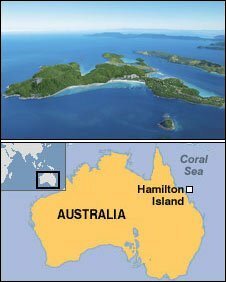 Hamilton Island lies on the same tropical latitude as Honolulu in the northern hemisphere and Mauritius in the south. It has a year-round tropical climate with an average temperature of 27.4 degrees centigrade. For more information on weather please visit Todays Forecast on Hamilton Island. Jetstar Airways offers daily flights, direct to Hamilton Island, from Sydney, Melbourne and Brisbane. Qantas offers daily flights, direct to Hamilton Island, from Cairns and Brisbane with connecting flights from Melbourne and Sydney. Virginblue offers daily flights, direct to Hamilton Island, from Sydney and Brisbane with connecting flights from Melbourne. Cruise Whitsundays Ferry operate direct services, regularly, each day from the mainland to Hamilton Island. Powerade Hamilton Cup : Hamilton Island hosts Australia's largest, oldest and richest outrigger canoe events attracting more than 1000 competitors from all over Australia, Hong Kong, New Zealand, Fiji and Hawaii. Held in June each year. 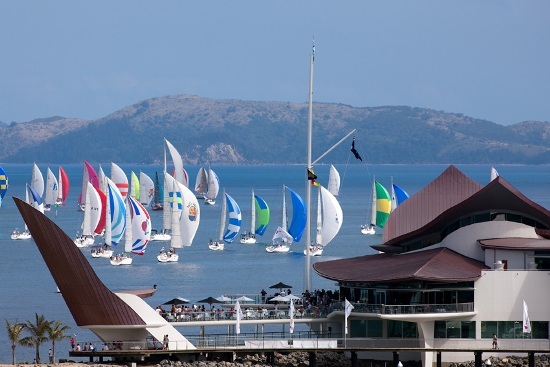 Audi Hamilton Island Race Week : The Audi Race Week is Australia's largest offshore yachting event. It consistently attracts record numbers of competing yachts both nationally and internationally. Held in August each year. Great Barrier Feast : The ultimate food and wine weekend in the ultimate tropical location. This event is to be relaunched in 2010 and make it even more special than ever before. Held in March each year.